Based in Asheville, NC, Red House Architecture was in established 2005. Robert M. Todd, AIA is the principal of Red House, and leads the Asheville Terrace design team. Robert has over 20 years of architectural experience with specific work in contextural infill and adaptive reuse. Creating sustainable, smart architecture with a touch of modern elegance is the Red House signature, making them the perfect choice for Asheville Terrace. Advantage Civil Engineering is a full-service site development civil design firm based in Asheville, NC since 2005. The Advantage team has over 40 years combined experience and specializes in cost-effective, low impact, community-friendly design. Past projects include site development for parks and recreation, industrial, residential, and commercial developments. Mike Lovoy, principal of ACE, leads the Asheville Terrace design team as engineer of record. Paint Rock Builders is a general contractor firm based in Weaverville, NC, just north of Asheville Terrace at Reynolds Mountain. The Paint Rock crew has over 15 years of experience with a residential division that specializes in quality, custom home construction. Bryan Sinclair, president of Paint Rock Builders, is a project team member and the design/build contractor for Asheville Terrace. 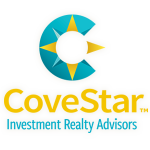 Covestar is experienced in urban in-fill development and new urbanist design principals. Jim Diaz, CoveStar’s principal and broker-in-charge, has received the CCIM designation for his expert knowledge of commercial real estate. He is also a graduate of the Leadership Asheville program, and a member of the Asheville Board of Realtors. WrightSite Development is a full-service development management firm based in Asheville, NC. WrightSite has over 17 years of experience in site assessment, entitlements, project team management and construction management for both commercial and residential projects throughout the country. Becky Wright, manager/owner of Wrightsite, is the owner representative and development manager for the Asheville Terrace at Reynolds Village project. Harold Kessler has 38 years of experience in real estate development, is a licensed real estate broker and recipient of the CCIM designation from the National Board of Realtors. His many projects reflect a deep commitment to community with sensitivity to our environment. He has received many awards, including the FAME award for The Sanctuary at Key Largo in Florida for “Best Overall Development” by the Builders Association of South Florida.